Mary Anne started with Mullen & Filippi in 1989, fresh from passing the Bar Exam. She works with many self-insured clients and also handles safety officer cases governed by the special provisions in the Labor Code. In addition to handling cases, she enjoys presenting seminars for her clients on various topics of their choice. 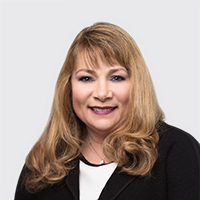 Mary Anne’s trial experience brings with it knowledge of the Appellate Courts and their practice and procedure. She loves a case with an interesting AOE/COE dispute and has met with several assistant District Attorneys on potential fraud cases as well. Mary Anne graduated from Canisius College in Buffalo, NY in 1980, Dean's List, with a B.A. in Political Science and a minor in Urban Studies. She worked as a Legislative Intern in her Senior year and assisted in the development and organization of "Women for Downtown", a community group of professional women dedicated to the revitalization of Buffalo's notable features. Following college, Mary Anne worked as a paralegal in civil litigation where she assisted with the historic "Love Canal" toxic chemical litigation. A graduate of the University of Toledo, College of Law, Toledo, OH, in 1986, Mary Anne was a member of Phi Alpha Delta, a legal society. Mary Anne is a member of the California State Bar and was admitted to practice for the United States Eastern District of California in 1988. After passing the Bar exam my first interview was with the managing partner in Mullen & Filippi's Fresno office. I was hired and have never regretted my decision. The law and work itself proves to be challenging and enlightening in learning much about medicine itself. I work towards a goal of listening to what our client wants accomplished on a case and establishing a plan of action to achieve that goal in the most effective manner while providing candid analysis of any obstacles. Throughout my career, I enjoyed working on municipality cases, with some involving safety officers, other self insured employer cases and numerous insurance company cases. There is nothing I like better than to sense the client's satisfaction with the resolution of the case. If I had to add anything to my career highlights at this point, it would be to present oral argument before the Court of Appeal on a challenging new workers' comp issue facing my clients and prevailing. Throughout my career I learned that balancing all that life has to offer is essential with my family. We love to travel here and abroad, Mexico, Hawaii or the Caribbean for rest and relaxation. I love reading biographies of political and historical figures. On my birthday, my family surprised me with a King Charles Cavalier dog, my first dog ever. She greets me every night when I arrive home and one can't help but feel a bit rejuvenated from the long day at work. My family ancestry is from Italy and I love learning about the areas where my grandparents were raised. I am a member of the National Italian American Federation.